Salads I Have Known and Loved: Because I hate waste. But not broccoli. 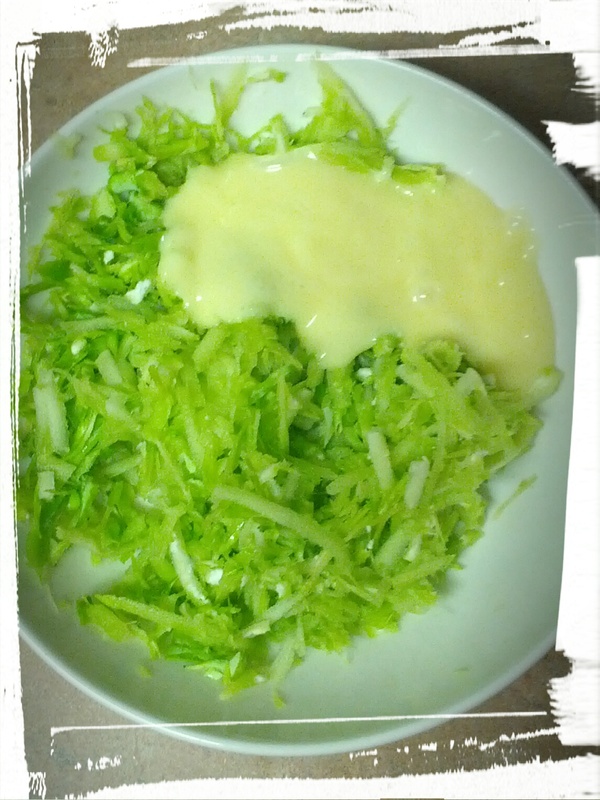 Two ingredient salad. So hard. I hate to waste food. One of my favourite cooking articles is entitled, That’s Not Trash, That’s Dinner! Cracks me up. But it’s a good point! I’ll tell you about my Kitchen Sink Soup sometime. 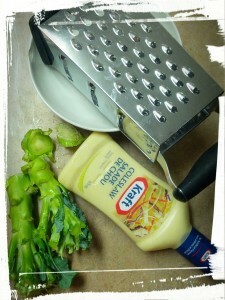 In this post, however, we’ll be using the broccoli stems from my previous post, to make a healthy broccoli slaw. 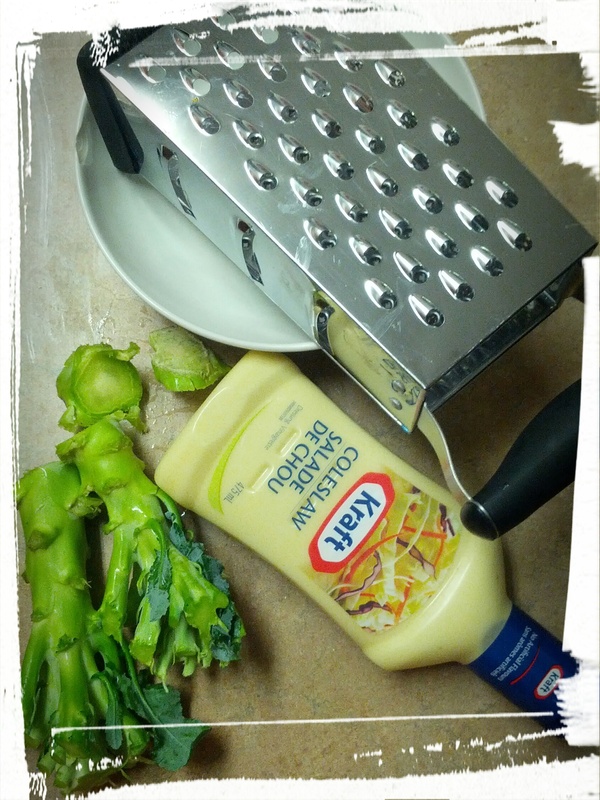 I say it’s healthy because broccoli, but the dressing probably isn’t chock full of nutrients. But like I said in my last post, it’s all about moderation! I think this would be good to serve to kids. It’s crunchy, covered in dressing, and kids likely won’t notice that it’s broccoli. 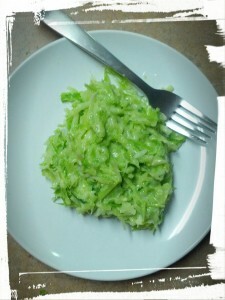 It taste pretty much like regular coleslaw, and you get to feel all healthy and virtuous, because broccoli! Let’s get our virtue on! 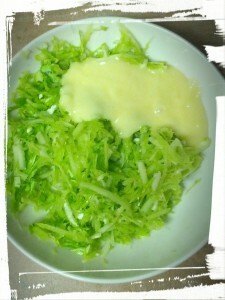 Grate broccoli stems. Add in dressing and mix. Done! Terribly hard, huh? Now wipe that sweat off your brow and eat that slaw! I be healthy! Ish. But close enough! This entry was posted in Salads I Have Known and Loved on September 10, 2014 by Margaret.